Using a Colorbond garage door for your shed or garage can be a very good idea, considering that these doors are packed with features that can help make your structures more efficient and even more durable. It is worthy to note, however, that although Colorbond garage doors have been specifically designed and tested to endure the harsh climates and weather conditions of Australia, proper maintenance is and will always be important in keeping them in shape. With the proper maintenance, you’ll be able to keep your shed protected, while ensuring that the durability of your doors remains unimpaired. In effect, this will help retain its aesthetic features, as well as its efficiency. 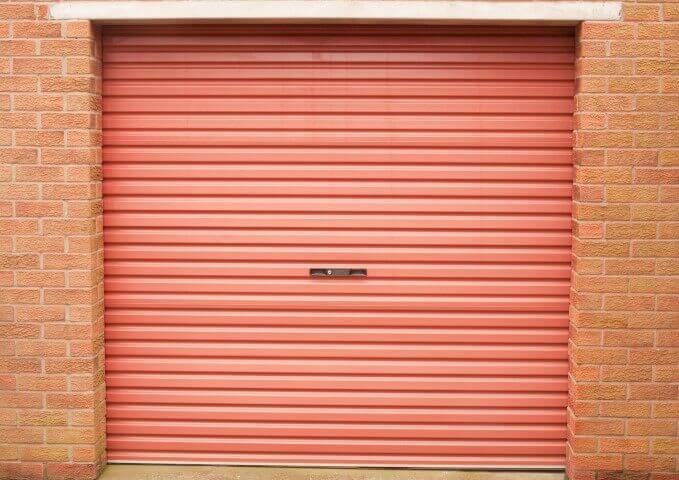 As mentioned earlier, Colorbond garage doors are made to be as durable as possible. These have been specially formulated to withstand termite infestation, corrosion, fire and other harmful conditions. – as a rule, areas that are usually exposed to rainwater need not be washed thoroughly. However, interior door surfaces that are not exposed to rain will need to be washed every 6 months. If you are living in an area where there is a large amount of salt water spray, such as coastal areas or those near beaches, then it would be advisable if you washed your garage doors more frequently, preferably every 3 months. – if after hosing down your doors, there still appears dirt and grime, carefully and gently wipe them off with a mild cleaner and a soft cloth or sponge. Afterwards, rinse thoroughly with water until the dirt is completely removed. – yes, we all know that sometimes cleaning and washing garage doors can be quite a tedious task. However, if you are able to create a habit out of cleaning and it consequently becomes a routine, then it won’t be that much of a hassle anymore. Think of it like you’re cleaning your car. – certain Colorbond garage doors have special components and require special maintenance procedures. As it is, you might want to take a look at them first before proceeding, in order to prevent any problems later on. Aside from knowing the things to do, you will of course, have to take note of the things to avoid. In fact, certain “don’ts,” as simple as they may seem, can actually cause serious problems. – before applying any detergents or cleaners on your garage door, make sure to clean it with water first. This will help avoid any abrasions or damage to the paint coating. – before using any solutions or cleaners, you might want to apply it to a small portion in the edge area of the door first. Leave it for approximately 1 minute and observe if there are any adverse reactions. If there are none, then proceed. Just remember to rub gently to prevent damage. – remember that there are special formulas recommended for Colorbond garage doors. For optimum results, you should always ensure that you are using the proper solutions, to avoid possible damage. – using rough or steel scourers can do more harm than good. To ensure the safety of your door paint, opt for soft cloths or sponges, as these can clean your door without risking damage. – if you see that there are graffiti, dirt or grime on your garage door, clean it immediately. Waiting for too long can cause dirt to harden, eventually making the cleaning process a lot harder. These are just some of the maintenance procedures that can help ensure that your Colorbond garage doors remain in tip top shape. Once you are able to efficiently maintain your doors, then you can expect your shed to benefit from it greatly. Colorbond garage doors are among the useful components that we at Action Sheds Australia utilise to maintain our garages and storage sheds in the Perth area. Want to know more about our products and services? Call 1300 778 628.